Braids are making appearances both on and off the red carpet but braids are nothing new. Cornrows are a traditional African style of hairstyle dating back thousands of years where the hair is braided to the scalp. Learn how to braid red carpet cornrows hairstyles. The side braid, pigtail braids and the crown headband braid, double braid, and fishtail braids are variations of cornrows. 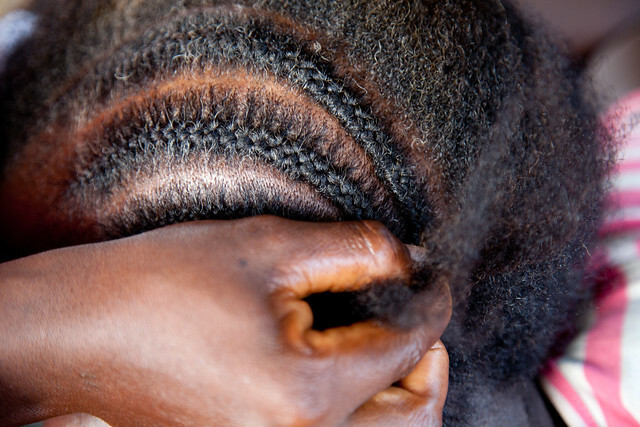 There are countless traditional cornrow African styles, ranging from intricate turns and coils to the simple line style. Note: If you are cornrowing the hair needs to be detangled with water or a leave-in conditioner in order to create neat cornrows. 1. Uses a comb to create the size section you want, smaller sections will make smaller rows of cornrows, and larger sections will produce bigger cornrows. 2. Divide the hair section into three equal parts. 3. Begin to braid the small section of hair. 4. As you continue to braid the hair, add hair from the section you are braiding into the cornrow. Add hair evenly for a uniform look. 5. Continue to braid the section of hair, adding more hair into the cornrow as you work your way toward the end making sure pull your fingers through the hair to detangle. Cornrow hairstyles in Africa also cover a wide social terrain: religion, kinship, status, age, ethnicity, and other attributes of identity are expressed in hairstyle. As Peters, J. C. stated in Braids, cornrows, dreadlocks, and hair wraps An African continuum, "Hieroglyphs and sculptures dating back thousands of years illustrate the attention Africans have paid to their hair. Braids were etched into the back of the head of the majestic sphinx." Today, fishtail braids create a beautiful bohemian vibe rocked by festival goers and outdoor music concerts worldwide. The side braid, pigtail braids and the crown headband braid, double braid, and fishtail braids are variations of cornrows. 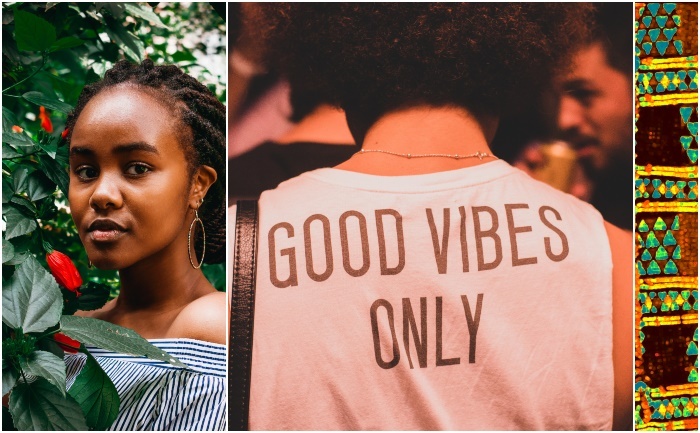 French, Dutch and Swiss braids all have their roots in Africa. With cornrows, the hair is braided very close to the scalp to produce a raised row. In America the term cornrows is used because they are reminiscent of rows of corn in cornfields. In the Caribbean, cornrows are known as canerows indicative of rows of sugarcane in sugarcane fields.